Richarlison admitted Neymar will be missed by Brazil but the forward is confident he can help fill the void left by the star captain. 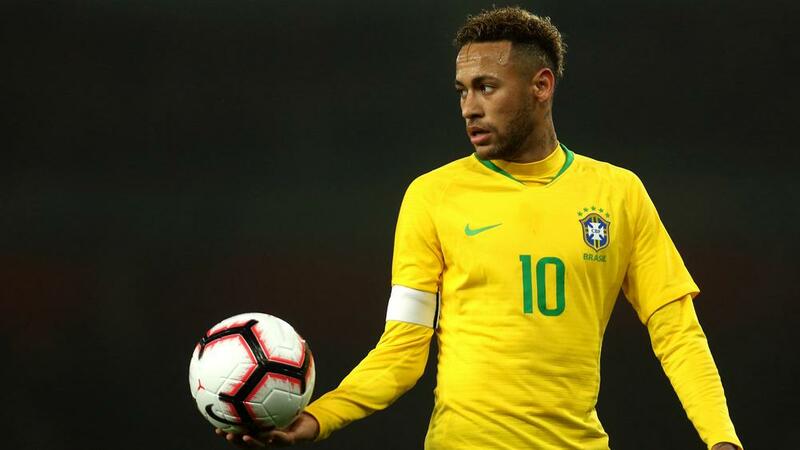 Neymar will miss Saturday's international friendly against Panama and the Czech Republic fixture three days later as he recovers from a metatarsal injury suffered with Paris Saint-Germain in January. Richarlison knows how important Neymar is to the South American giants, however, the Everton star believes his team-mates can cope. "I think Neymar is really missed," Richarlison told reporters. "He is a great player. "But I'm prepared. Everyone here knows the responsibility. I think if I go to play, I'll do my best so the national team can win the matches. "Of course, Neymar makes difficult games easy. I guess we'll miss him. But let's fill his absence very well here." Richarlison, who scored the winner in his previous international appearance against Cameroon in November, added: "Since when I came for the first time, I came with the intention of being a top scorer and making goals in all matches. "I'm a guy who always seeks the goal. And I was summoned just because I was scoring many goals for my club. I want to continue to score goals. I want to be a top scorer with my national team." Veteran Brazil defender Miranda, 34, is set to be involved against Panama in Porto, Portugal. Miranda has struggled for game time at Serie A side Inter in Milan, where Luciano Spalletti has preferred Milan Skriniar and Stefan de Vrij this season. The former Atletico Madrid centre-back is not getting any younger but he is not thinking about retirement just yet, with Brazil set to host this year's Copa America. "I do not think about my farewell yet. I think about my moment and as long as I am able to play at a high level, I will act," Miranda said. "If I say goodbye in a status to play at a high level, I'll be a coward. My thinking is to help while I can. It's a long way until the next World Cup [Qatar 2022], there is a whole eliminatory after the Copa America, we know the difficulty and I cannot leave the national team now. I'll try to help while I'm in the right conditions."